Although North Korea's frequent appearance in the headlines of late has brought the country to the forefront of our minds, the particulars of everyday life within the Democratic People's Republic of Korea remain, to many of us, an enigma. Made in North Korea: Graphics From Everyday Life in the DPRK, a timely new book just published by Phaidon, offers a fascinating insight into what life is like for the country's people through the examination of an extensive range of graphic ephemera, drawn from the personal collection of Nicholas Bonner. 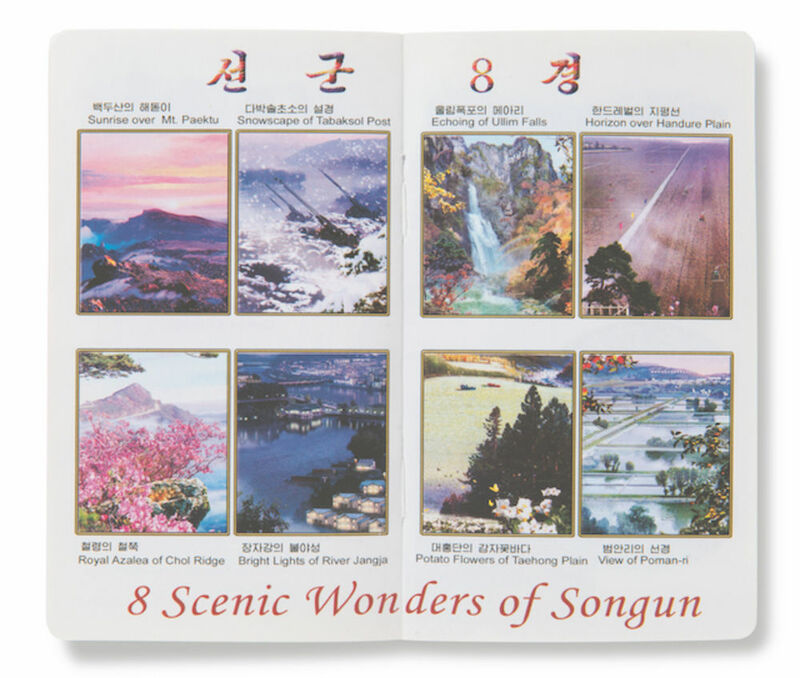 Bonner has amassed a thousand-strong selection of North Korean printed objects over the past twenty-five years, through his extensive travel within the country—from his base in Beijing, he runs frequent tours of North Korea with his company Koryo Tours, and he's also involved with a range of other cultural projects related to the DPRK, including filmmaking. 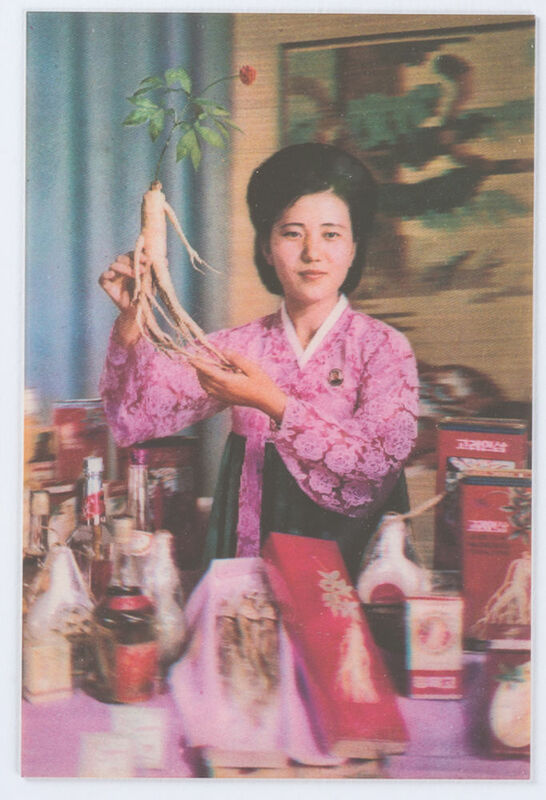 Made in North Korea uses the ephemeral items within Bonner's collection as a lens through which to view the country's people, their habits and customs, and the realities of life within the socialist state. 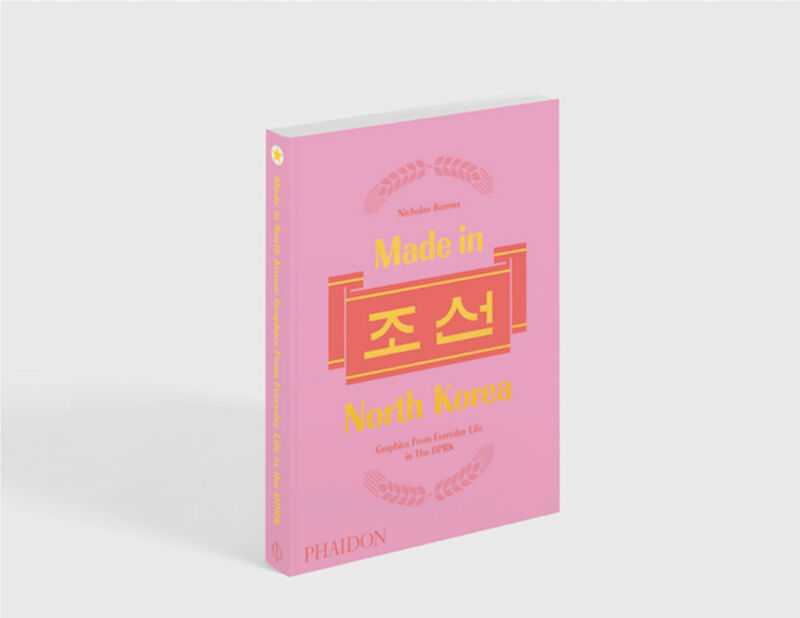 Beautifully produced and printed on toothy uncoated paper, with an appealing use of colour throughout, the book contextualises its content through essays and extended captions, encouraging readers to consider not only the images' visual appeal but also what they can tell us—through their appearance, style, origin and means of production—about North Korea itself. 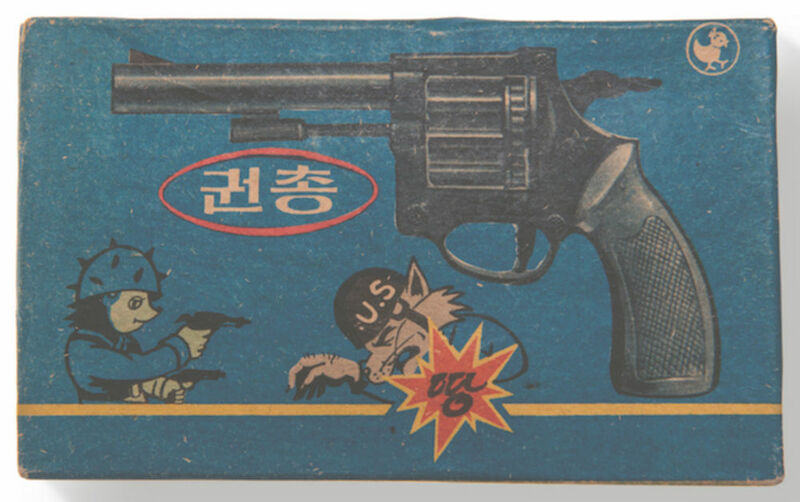 When did you begin collecting North Korean graphic ephemera, and how did the book come about? Nicholas Bonner: I started collecting from my very first visit in 1993. For someone interested in the graphics, design and architecture of North Korea at that time, it was like walking into a textbook example of the socialist model city—with all of its accoutrements. As well as the fantastical architecture, statues and monuments galore to the revolution and the Korean War—The Victorious Fatherland Liberation War as it is called in North Korea—there were shops packed with objects, wrapped with graphics from the 1970s, but still for sale, and alongside contemporary material that was also adorned with graphic elements in the same style. I started buying and picking up these objects from my first trip and, after visiting most months of every year since then, well, by the time 2016 came around I had numerous boxes full of various odds and sods—or ‘found objects’ as a more professional collector might call them! In 2016 I decided to send images from my collection to Virginia McLeod at Phaidon and she saw the beauty of the graphics as a publication. During the process of sorting through your collection and arranging it for the book, did you discover anything unexpected amongst the items? The book is as much a personal diary, and an insight into quirky aspects of the nation, as it is a collection of graphic art. Going through the piles of graphics—now a carefully catalogued collection of ephemera!—you could sense how the country sees itself. For example: using objects such as the Korean mountains to imply health and cleanliness, or the steelworks to demonstrate strength and reliability. But for me there is also a personal attachment; a sense of nostalgia, if you like. These objects remind me of a particular place and time—buying my Korean mates cigarettes and ice lollies, for example, so we could have a break outside while the tour I was leading visited various museums (there are only so many times you can go around the Metro Museum and then its annex The Museum to the Construction of the Metro Museum). Do you think there are certain symbols, tendencies or visual styles that are characteristic of North Korean graphic design? Yes, absolutely—they draw from symbols that are around them in propaganda—rather simplistic interpretations, perhaps, but also often with underlying historic roots. Much of the colour influence must be embedded from the traditional Korean palette: bright fun colours, reds and pinks, which contrast sharply with the muted tones we usually associate with socialism. Was there anything in your collection that didn't make it into the book, and if so, why? It was a difficult choice. Three of us at Phaidon went through a collection at least three times the size of what we could squeeze into the book. We ended up going for representative objects that were either beautiful or had a fascinating story to tell. We did not include the artwork I’ve collected—such as linocuts, propaganda, or other North Korean art that I’ve picked up on my travels there. Has the lack of external products and influences within North Korea resulted in the development of any noticeable graphic tropes within their graphic design? 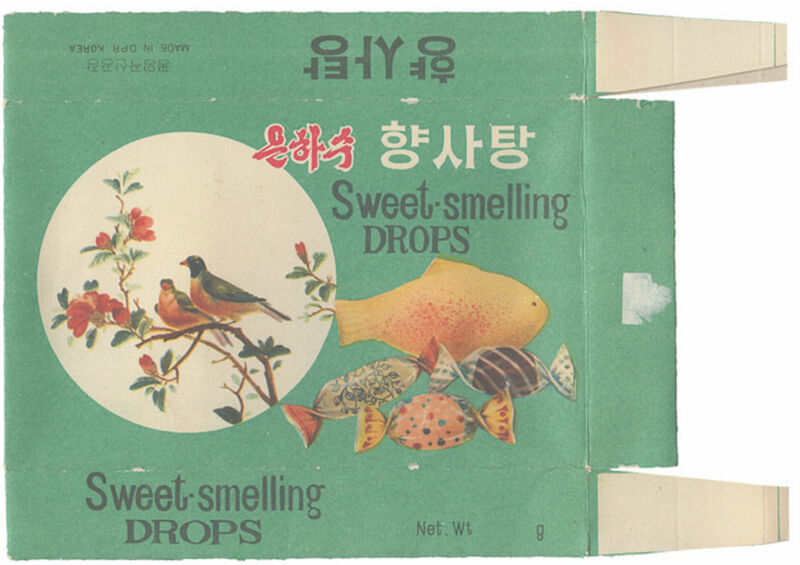 Certainly the Korean calligraphy used is unique to the peninsula and very much has its own identity—with changes in style to better enhance the goods being sold—but otherwise it would be tricky to pick out North Korean graphics as having a particular style against other Eastern bloc packaging of the time. 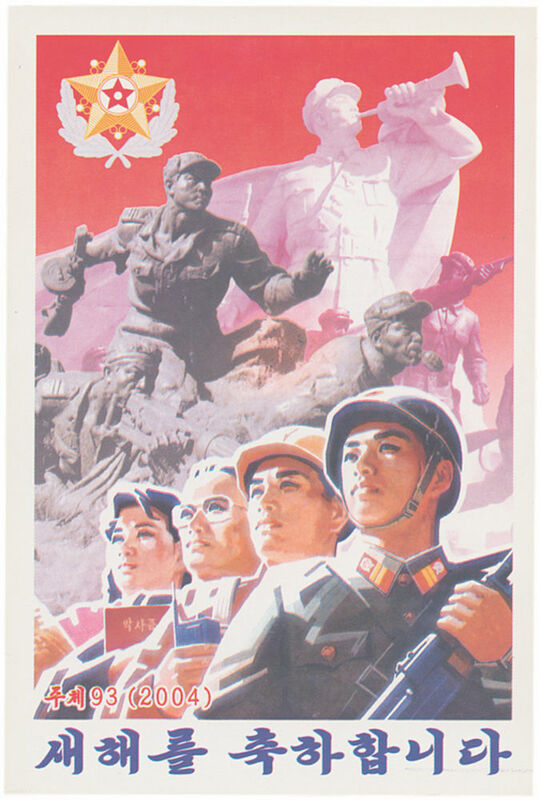 Is there a tendency for North Korean graphics to appear older to Western eyes than they actually are, and if so, why do you think this has come about? These items are from a specific period of hand-painted graphics printed, in the main, with offset lithography. When digital printing and design arrived in the country in the early 2000s it also coincided with economic reforms, which meant that, for the first time, foreign products started arriving and competing with local brands. The fight back for control of the market was perhaps best demonstrated by the arrival of their red-labelled ‘cola’ bottle (remarkably similar to a certain American model) that marked the end of the hand-drawn graphic and the dawn of digital design in the DPRK. Amongst your collection, do you have a favourite? Perhaps the sugar packet from flying on Air Koryo. It’s a simple sachet of sugar with a frivolous and pretty design on it, but the actual process is much more complicated than you may think from first glance. The state organisation involved had to agree that condiments should be provided on the flight; the graphic studio then appointed a designer to decorate it; the design had to pass a panel; then finally it would be put into production. And, in a country not ever associated with frivolousness, this pretty little item, with such simplicity and complexity wrapped up together in its very existence, is perhaps my favourite.